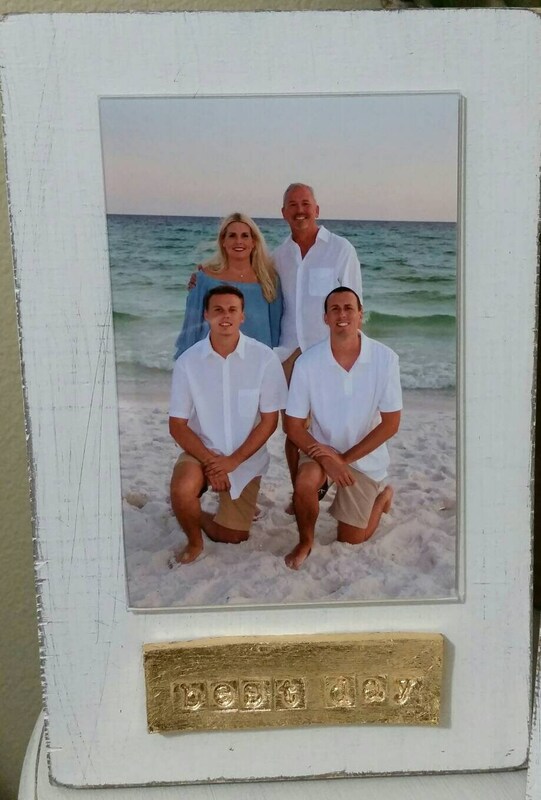 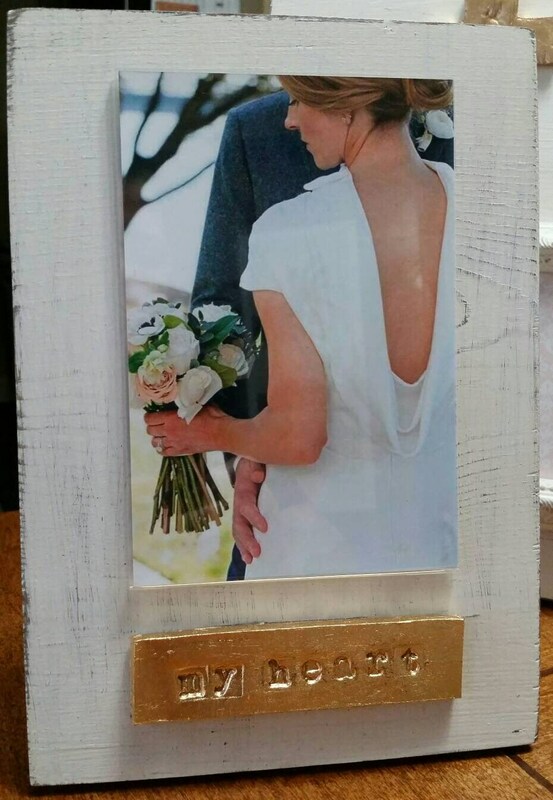 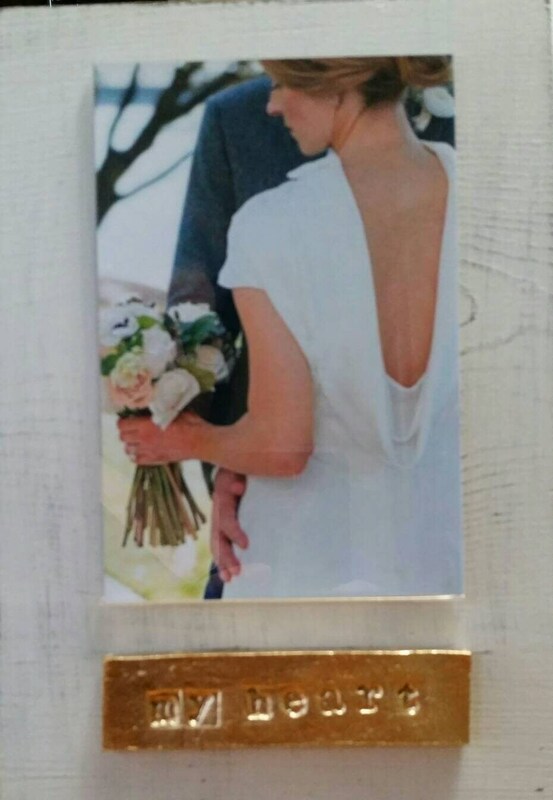 Handmade Wood Frame 4x6 Photo Painted Off White Distressed With A Gold Leaf Personalized Plaque -Best Day - My Heart - Gift. 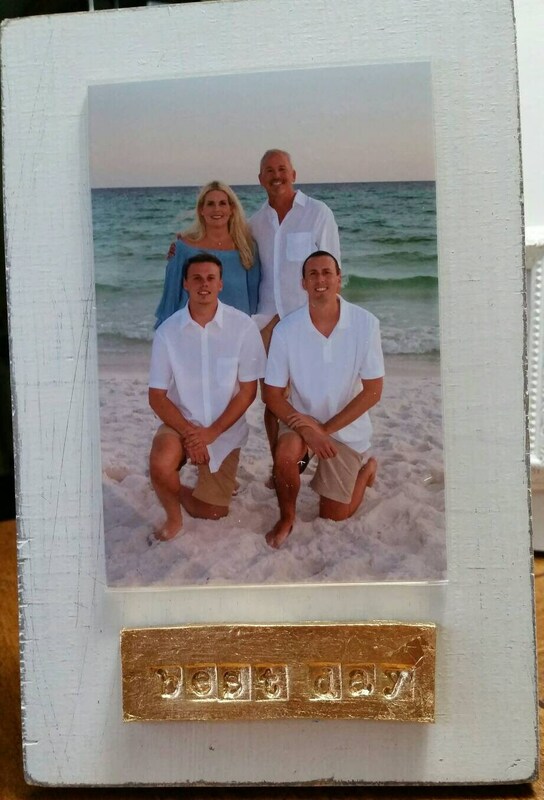 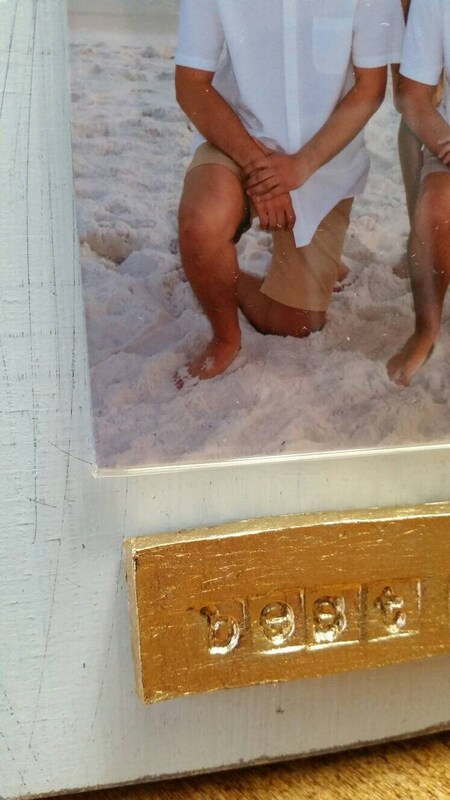 Outside frame dimensions 9 1/4"ht x 6 1/2"w and holds a 4x6 vertical picture. 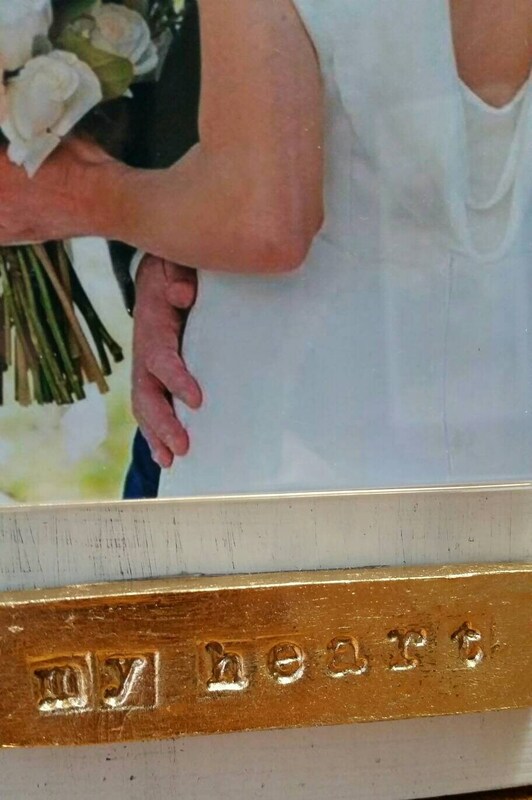 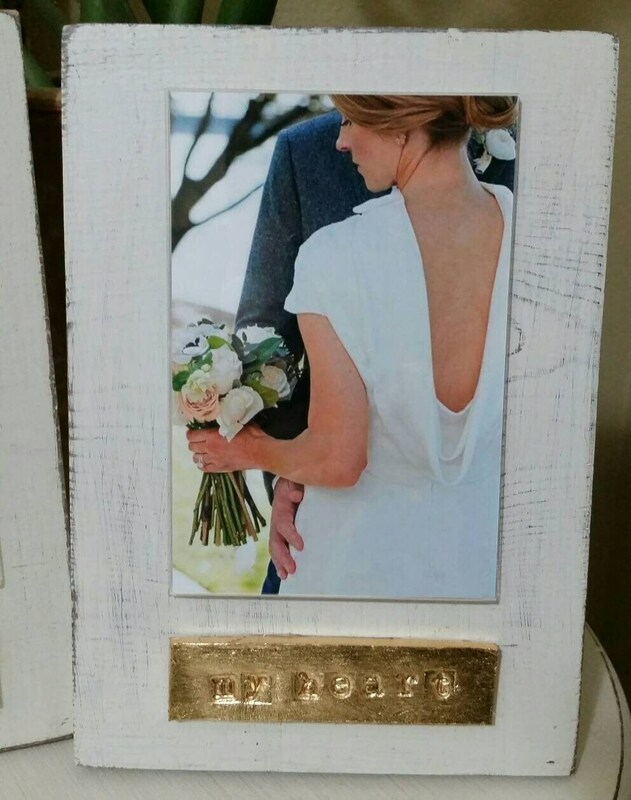 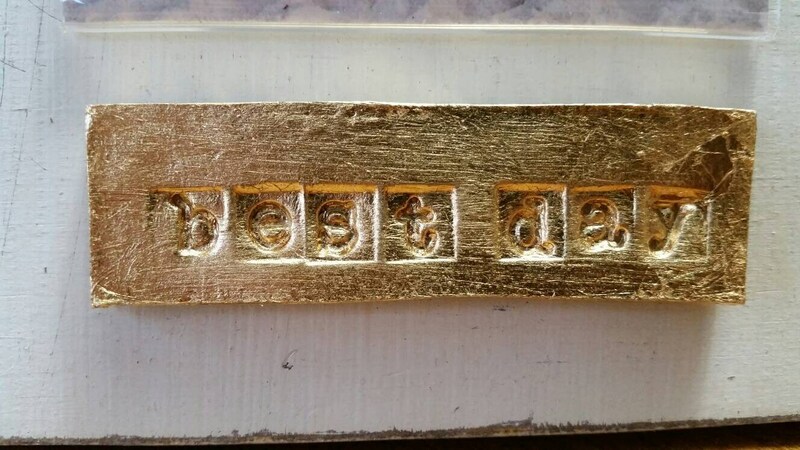 Color - Painted Off White with a distressed finish and a Gold Leaf Handmade Clay Plaque at the bottom which was stamped with "Best Day" or "My Heart". 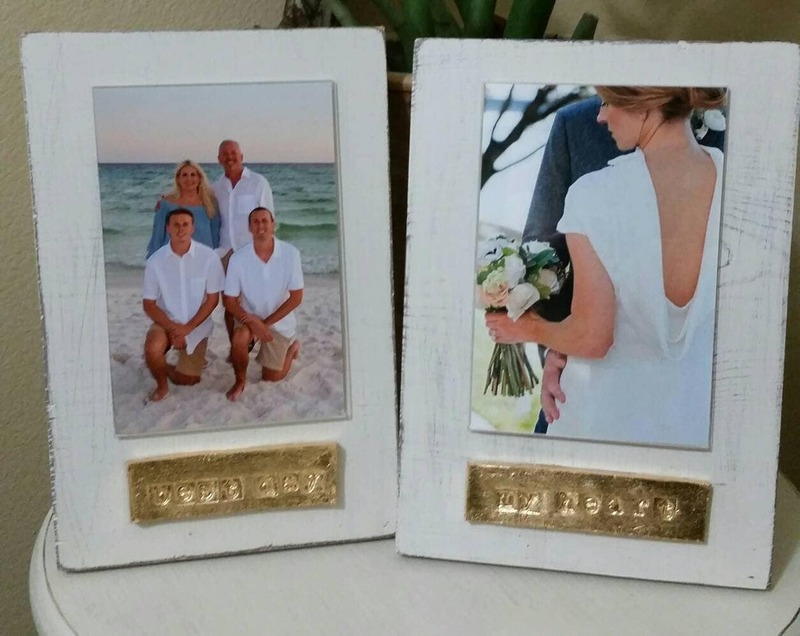 Can also be personalized with your message - just ask!